If you want pho in the Twin Cities there are really only two places to go; in Minneapolis there’s Eat Street, and in St. Paul there’s Little Mekong. 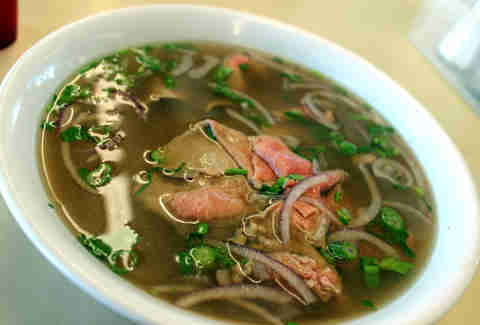 Both have an sweet broth-based options, so many in fact, it can be hard to pick the best ones... unless some sweet mens lifestyle site picked the best bowls from both sides of the river, and turned 'em into a list of MSP's six best pho spots. Oh, wait! Possibly the most mellow and delicate in flavor of all our top picks, BD's mild broth boasts herbs, including cilantro, scallions, and of course the Thai basil, that give it a fresh kick. We’d also like to nominate Bangkok Thai Deli for a “Best use of an old Burger King” award. 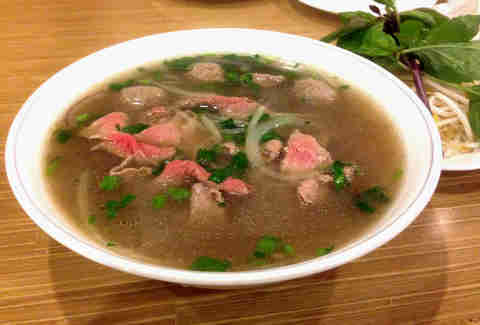 Beautifully rare and tender slices of beef are set adrift in this beautiful bowl of blissful broth. Hints of star anise and clove peak through the curtains of the beef-steeped-stock while fresh herbs and optional jalapeños add depth, freshness, and spice. This one is a real eye-opener. The use of grass-fed beef (gorgeous slices of ribeye, fatty brisket, etc.) 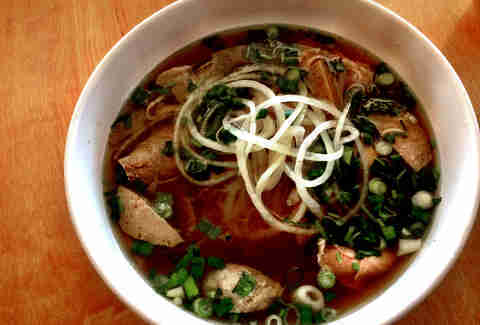 adds an additional depth of gaminess and richness, which fundamentally supports the balance of spices used in the broth. 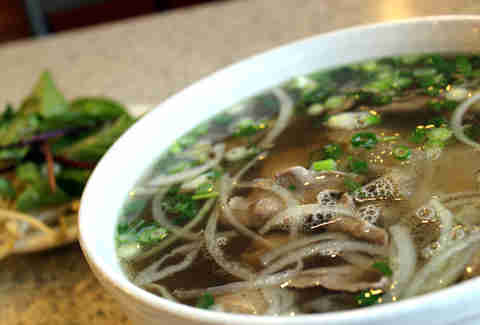 This specific bowl of pho will live forever on our list of ideal comfort foods. The broth is so rich you can almost taste the bones used in the stock, and they’re not shy about adding in the tripe and tendon, which makes for a solid mélange of textures. 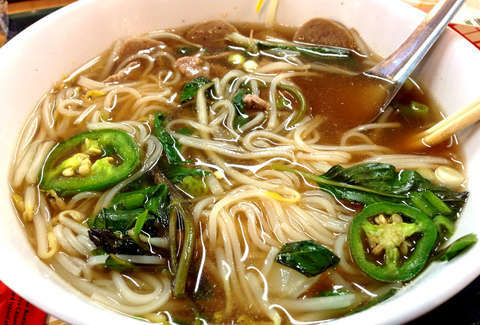 It would be pretty fair to say that about 85-90% of the people in the Twin Cities would call this out as their favorite bowl of pho (except for maybe the people whose Grandmothers/Mothers actually make it for them), and we’re right there with them. This soup is perfect in the winter to help fight back the cold, or jack it up with some jalapeños and Sriracha in the summer to induce body-cooling sweats. Either way, this bowl is truly a bastion of culinary wonderment. 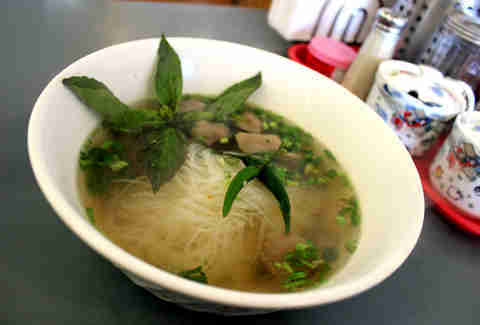 This classic bowl of pho, found at the very end of Eat Street, rings in as a lot of peoples' favorite. 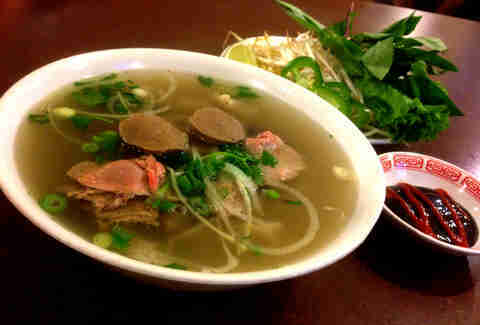 The broth is both flavorful and aromatic, while the beef remains tender, moist, and fatty; just the way we like it.